Digital networks are a constantly changing phenomena, which means, they require constant monitoring and reconfiguration if they are to be kept as efficient as possible. This means the administrators that are responsible for the upkeep of such networks require tools that help them make sense of what today, has become a complicated mash-up of digital highways connecting a cornucopia of gadgets that communicate using insanely-fast data transfer traffic. Their users, on the other hand, have come to expect reliable and fast connections whenever they log on to a network (local or otherwise). These two common scenarios have created a demand for tools that help make all stakeholders happy. And among many such tools, there is one that can help with identifying connectivity and latency issues: the traceroute or tracert command. 2 What is traceroute or tracert? 5 How do tracert or traceroute work? 7 How does traceroute or tracert help admins? 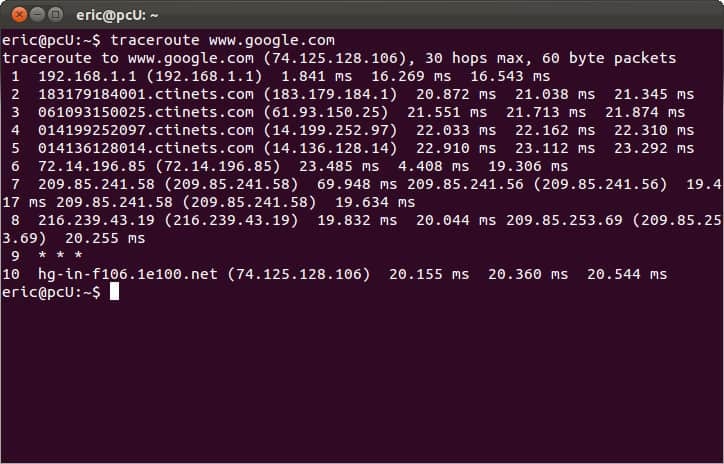 Traceroute and tracert are two commands that run tools used for network diagnostics and help with resolving connectivity issues by tracing the paths data packets take while traveling from their origins to their destinations. Although the original tools were originally conceived to run from the CLIs (Command Line Interfaces), there are now more “flashier” versions with remarkable GUIs (Graphical User Interfaces). 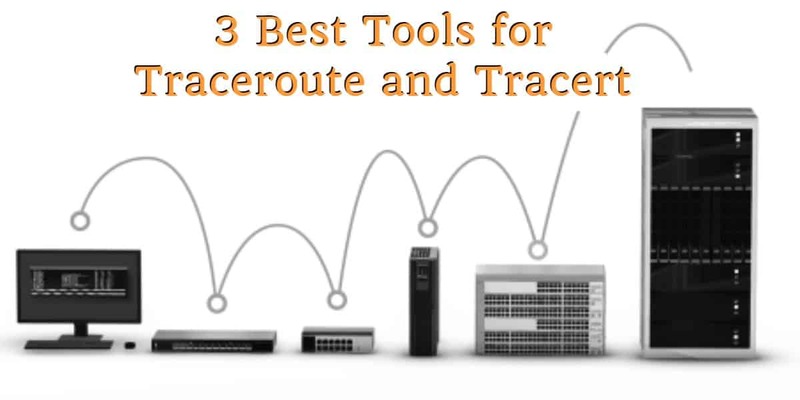 In this article, we will explore three of the best tools for traceroute and tracert. In the image below, the tracert command is running on a Windows machine and traces the path data packets would need to traverse if it had to reach the www.yahoo.com domain. As we can see from the two images, once the command is executed, the program sends out a query across the network. This is to see which routes can be used to transport data packets between the origin machine’s network and the destination’s network. Trivia: A tracert command from a Windows operating system machine sends out an ICMP (Internet Control Message Protocol) echo request, while a traceroute command from a Linux (or Mac) machine uses the UDP (User Datagram Protocol). The response, however, is always sent back in ICMP, regardless of what the sending host’s operating system is. 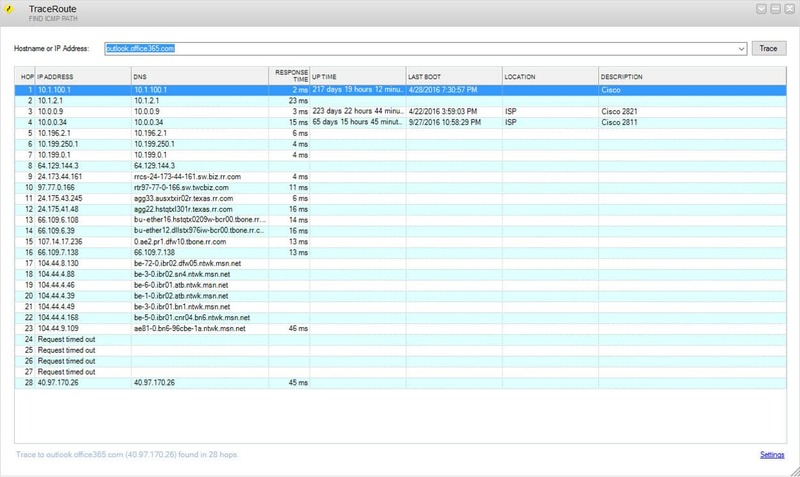 The command sends a packet out to the target device or network and starts monitoring for reports that are sent back in the form of replies from connected intermediary devices like routers and switches. The packets “hop” around from one device to the next and send back replies that help figure out their round-trip-times (RTTs). RTT is defined as the length of time taken for a packet to be sent out and then for a reply to come back confirming it has reached its intended destination. Whenever the packets hit a device and bounce back a reply, the admin also gets a bit of information detailing its IP address and device name (if it has one). Step 2: A second packet will then be sent with a TTL of 2. It passes through the device identified in Step 1 (where it loses a TTL value) and moves on to the next connected device beyond it. When it reaches a second device, it drops a TTL (making it 0) and a reply is sent back to the original host. Step … n: The packets keep going out with increasing TTL values (until the maximum is reached) and the replies keep returning with a little more detail about the network that connects the origin and destination hosts. The last packet will lose its TTL value, get dropped, and end with a “maximum number of hops reached” error message indicating the host couldn’t be reached. The TTL value determines the number of intermediate routers or other connecting devices that are going to be traversed as the packet travels towards the destination host. The traceroute/tracert command launches packets with TTL values starting at 1 and gradually increasing with each subsequent outgoing packet. The TTL values decrease every time the packet hops to a device. Any packet whose TTL value reaches zero, is discarded and a “Time Exceeded” ICMP error message is generated and sent back to the original host. Proceeding in this way, the tool uses the packets and reply messages to build a list of routers that data has to traverse through, until the destination is reached and returns an “ICMP Echo Reply” message. How does traceroute or tracert help admins? Once the network path has been mapped out, a network admin can simply look at it, follow the paths that were taken by consecutive packets. They can see for themselves where the problem is (in case of non-delivery of the packets) or that everything works just as well as it should. Then, all that remains is to fix disconnected routers and tweaking the ones that have a high latency or packet loss rate. Now that we have an idea of how they work, let’s have a look at the three most efficient tracert or traceroute tools that every administrator can use to ensure they have a well-performing network. SolarWinds is one of the biggest players in the network performance monitoring market. 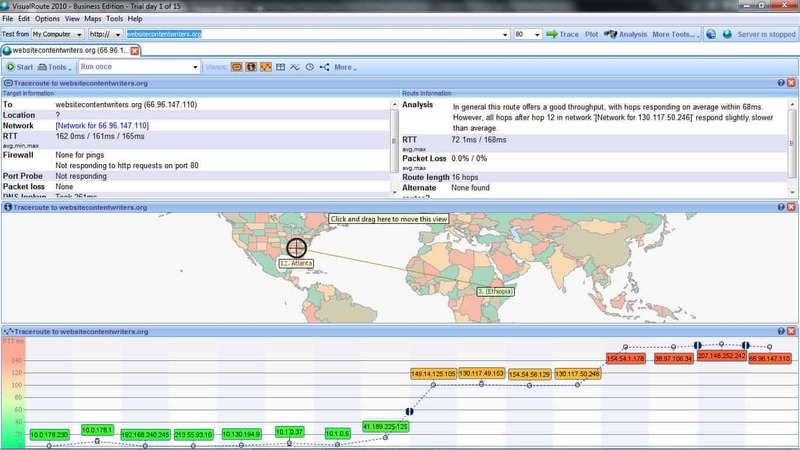 They are the makers of some impressive tools including the Traceroute NG – an easy-to-use, yet efficient network connection monitoring tool. 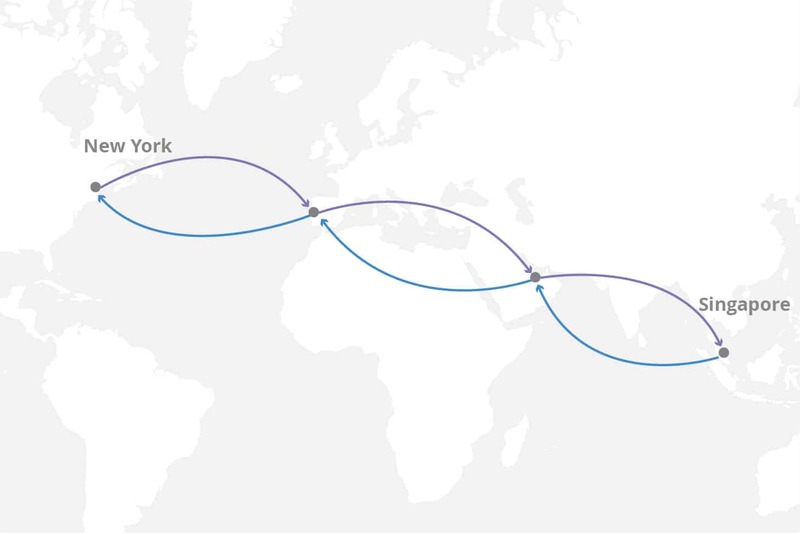 With Traceroute NG, an administrator would have access to accurate single-path analysis visibility via CLI from the source to the destination hosts. It would effectively identify the number of hops, respective IP addresses, hostnames, packet loss, and latency. 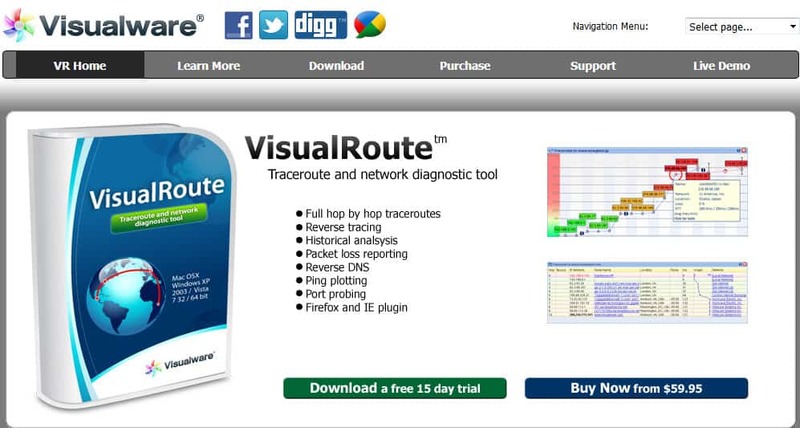 For network administrators looking for an exciting little tool that can perform as well as any of the more complex traceroute tools out there, they will certainly find it all in VisualRoute. This network tool is a joy to use as its GUI makes work a lot of fun. A graphical map of the traceroute result makes it easy to comprehend and consume the data. Reverse tracing with remote agents so admins perform a reverse trace between two locations without actually being in either of the locations. Reverse DNS lookup allows to for the discovery of IP addresses behind a domain name. Ping plotting to gauge and capture response times of IP addresses over a given time and have the data available in informative graphs. Storage of tracert data for future reference and performance comparison. 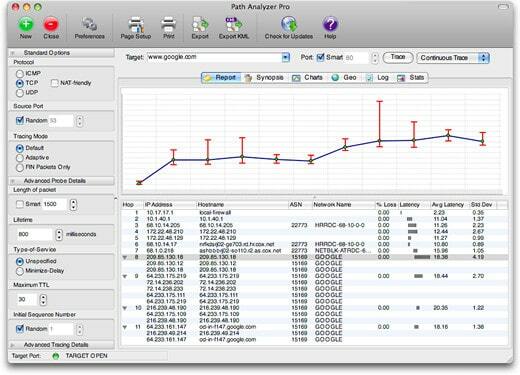 Path Analyzer Pro is a traceroute tool that administrators with Mac machines can use alongside their Windows brethren as it works on both platforms. It is an amalgamation of tools that, apart from the main traceroute purpose, offers features that help with performance testing, DNS, Whois, and address resolution features. A concise and to-the-point GUI that even novices can easily master. Excellent time performance that sees admins getting results back 20 times faster. Elaborate, yet comprehensible, reports that can either be consumed on the platform or exported for other remote users. They have impressive graphics detailing every aspect of a network. Map-based location of IP addresses with zoom, pan, and details. If you are a network administrator, then you will truly appreciate the capabilities of the three best traceroute and tracert tools we have just seen. Using one or all of them will allow you to draw an accurate picture of your network and the connectivity that lies beyond it. Make use of the tools and you will always have a clear image of what your network looks like.